We’ll start with one of the most oft-requested features by Platform users. 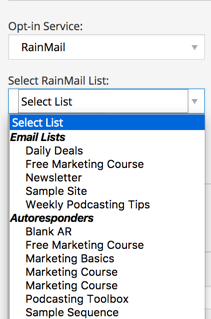 In fact, as you’ll see below, you can use the form with any email service provider — you’ll just have to get your hands a little dirtier with code to use it for services that don’t currently integrate with Rainmaker. And if you are already using the email opt-in widget, don’t worry. You don’t need to do a thing and it will continue to work as it has. To add an opt-in form to your site, navigate to Design > Content Areas and then add the “Opt in Form” widget to any content area. Then, choose your email marketing provider (only those that your site is integrated with will be listed) — or pick “Custom” if you are using a provider not currently integrated. Finally, choose the list this particular form should add subscribers to, and fill out the rest of the pertinent display information requested. Then you’re all set to start building your list! In addition to the new opt-in form widget, you now have some additional email personalization and branding options. Navigate to Settings > Email to apply these new settings (like the ability to edit the tagline in your footer). Duplicate Book:The Book post type can now be duplicated like all other post types. One click will create a draft duplicate of the selected book. Affiliate Creative:You can now provide creative content, such as a text link or image banner, for your affiliates. New Labs Features — including GoToWebinar Integration! It won’t surprise you to learn that the GoToWebinar integration is quite exciting for me and for Chris Garrett — given how often we’re hosting webinars this year. And if you’re not aware of all the webinars we have planned for 2017, make sure you check out the January newsletter. 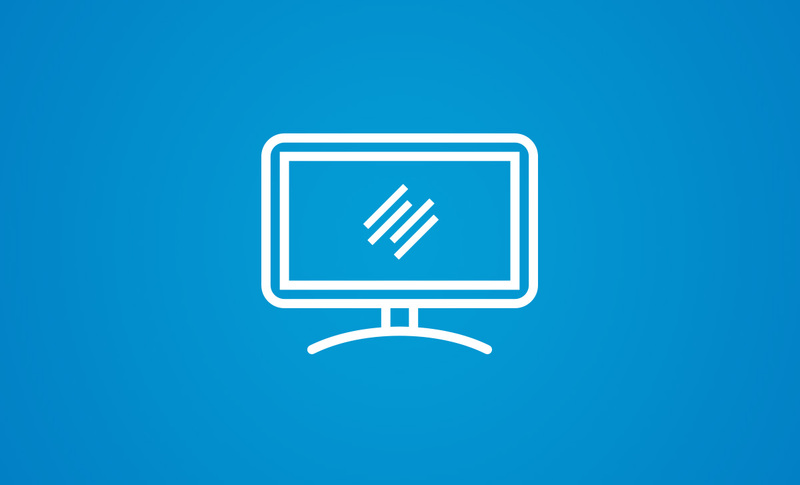 First, go to Settings > Rainmaker Labs to activate the GoToWebinar feature. Once you have activated the GoToWebinar feature, you’ll need to link your Rainmaker website to your GoToWebinar account. Go to Settings > Content to do this. With your Rainmaker site linked to your GoToWebinar account, you will now be able to easily create buttons that automatically register your site members to your GoToWebinar account. Note: This feature only works for logged-in site members right now, as Rainmaker needs their email address and name for the automatic registration to work. We suggest you either protect the page so only certain members can view it, or use [ show_to ] / [ hide_from ] shortcodes to ensure it’s only seen by eyes that can take action on it. Next, open up a new post or page and you’ll see the “Add Webinar” button right below in between the headline and content editor. Click that button. Select webinar: Choose the event you want to register people for. Button text: Define the text that will display in the automatically generated button. Auto register: Automatically register your logged-in members for the webinar simply by arriving at the page. Redirect: Add a thank you page that users are redirected to after clicking the registration button. 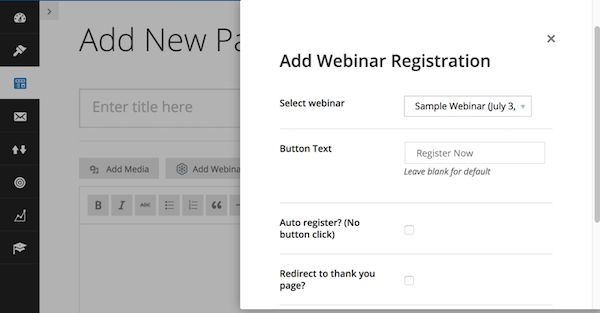 This shortcode will add the GoToWebinar button to your page automatically. So when site members visit your page, they just click once and they are registered! You can now set up daily payment summary emails for your sites administrator(s). 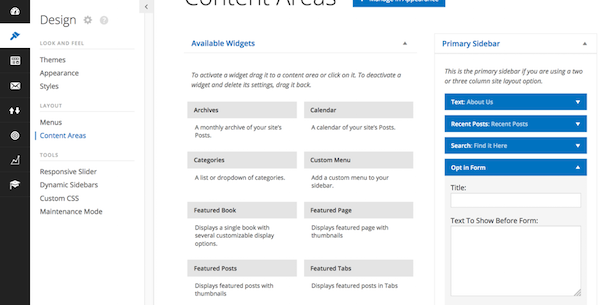 Finally, we also added an enhancement to the Visual Page Builder that adds support for several common shortcodes. This makes it much easier to add and edit shortcodes on your pages. That’s it for this update. Enjoy using these new features!